This book argues that the evolution in wage policy has paralleled economic transformations, which democratic theory has evolved to accommodate. 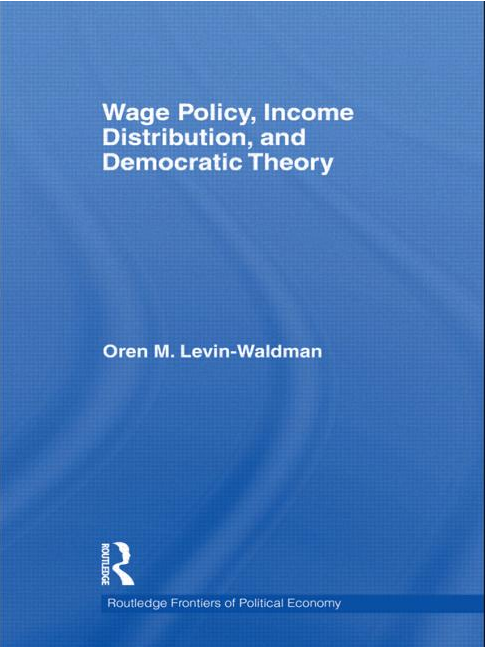 Through a careful analysis of democratic theory and empirical analysis of the impact of wage policy on income distribution, this book concludes that wage policy is an important component in the maintenance of democratic society. A wage policy that raises the wages of those at the bottom can give workers more independence and power as they are placed on more equal footing with managers. This, in and of itself, can be a source of empowerment, effectively enhancing their autonomy. By doing so, workers feel less exploited and income inequality is reduced. This significant contribution explores the meaning of democratic theory and how it has evolved along with the meaning and specific forms of wage policy, providing invaluable new insights into their connections. This book will be of interest to postgraduates and researchers in economics and political science, as well as policy practitioners interested in issues of income inequality or democratic theory.